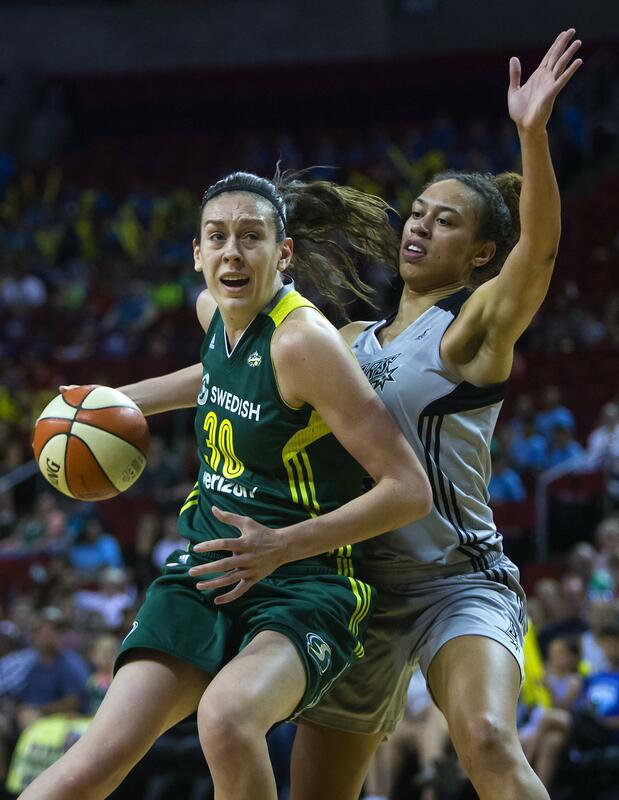 SEATTLE – Jewell Loyd scored 25 points, Breanna Stewart added 22 points and five blocked shots and the Seattle Storm beat the San Antonio Stars 83-69 on Wednesday. Kaleena Mosqueda-Lewis had 10 points, Crystal Langhorne grabbed 10 rebounds and Sue Bird had eight assists for Seattle (9-14). Dearica Hamby converted a three-point play to trim San Antonio’s deficit to 63-59 early in the fourth quarter, but Stewart scored nine points – including two 3-pointers – and the Stars went scoreless for four-plus minutes during a 16-0 run that put the Storm up 20 with 4:33 to play. Seattle shot 54.8 percent (17 of 31) from the field and made six 3-pointers in the second half. The last-ranked Stars, who have lost five in a row, were 4 of 15 (26.7 percent) from 3-point range. Moriah Jefferson led San Antonio (5-18) with 25 points. Alex Montgomery had a season-best 13 points and a career-high six assists. Seattle has had at least 20 assists in each of its last six games. Published: July 20, 2016, 8:20 p.m.